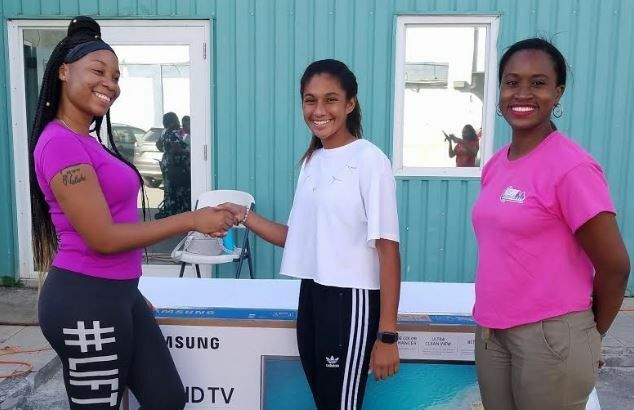 PORT PURCELL, Tortola, VI – One lucky winner walked away with a 50’ Samsung Smart TV in the first of three fundraising raffles to assist the mandate of the Family Support Network (FSN). 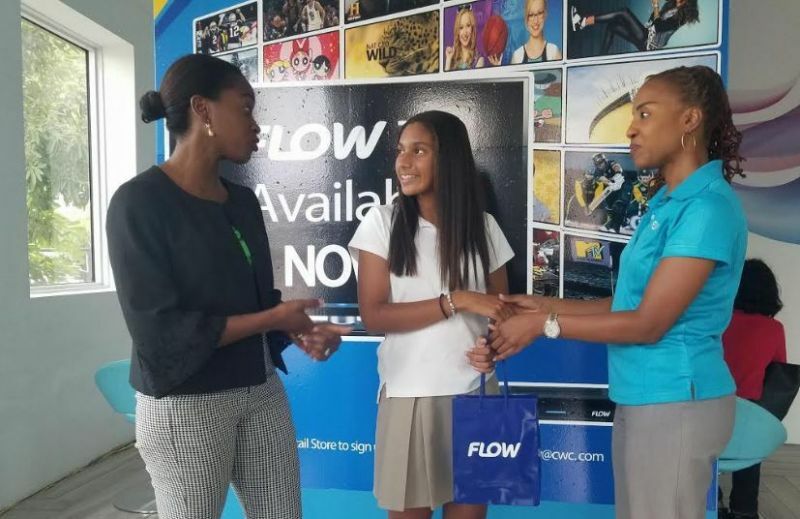 According to a release from Nagico Insurances, the initiative, hosted by 8 Grade student Ariel Mohamed of Cedar International School, saw its first drawing held at One Mart Parking Lot at Port Purcell, Tortola, on November 17, 2018. The High Definition Smart TV, which was donated by Klass Electronics, was won by Ms Lakeisha Claxton and the second drawing is scheduled to take place on Friday, November 30, 2018, at Flow on Fleming Street. 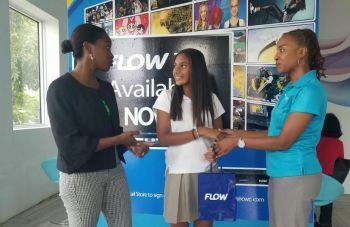 For the upcoming raffles, Flow lent its support by donating the second prize, a Samsung Galaxy S9. The top prize for the fundraising raffle is an iPhone Xs, which was donated by Nagico Insurances. Other sponsors for the fundraising raffle include Charlie’s restaurant, A Taste of India, The Watering Hole, Body Glam, Swirlzzz Frozen Yogurt & Treats, Studio One, Allure Day Spa, House of Luxury, Island Services and Envy Salon, Spa & Barber Shop. The release also states that Ariel previously raised funds for the BVI Cancer Society and even helps out at FSN after school. In an invited comment she said, “they [FSN] have been doing so much for our community that I really wanted to give back to them. This time I really want to go extra because it is the holidays”. Her aim is to raise a minimum of $5,000 for FSN. Ariel’s noble initiative was also lauded by the Director of FSN, Mrs Sasha Stoutt, “there are so many people in the BVI who have financial issues and are looking for food, or trying to get food… This is a great thing that Ariel is doing because these families will now be able to come to our pantry and collect foodstuff once a month,” she related. Mrs Stoutt added that the FSN pantry is always in need of supplies and sadly many times persons in need are turned away. Raffle Tickets cost $2 and can be purchased at Nagico Insurances, Tortola Auto Group (TAG) and also at Envy Salon, Spa and Barber Shop on Tortola Pier Park.